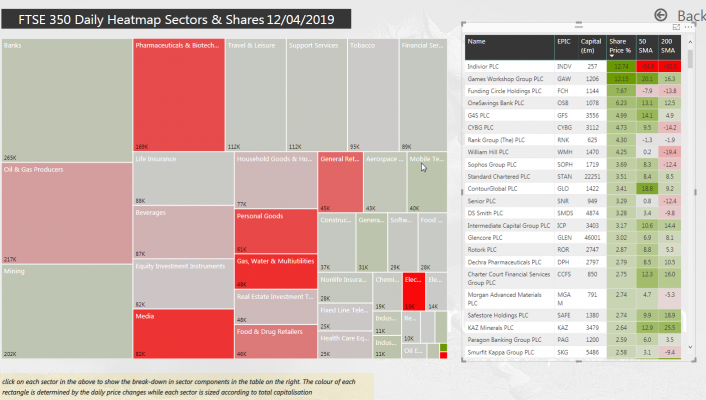 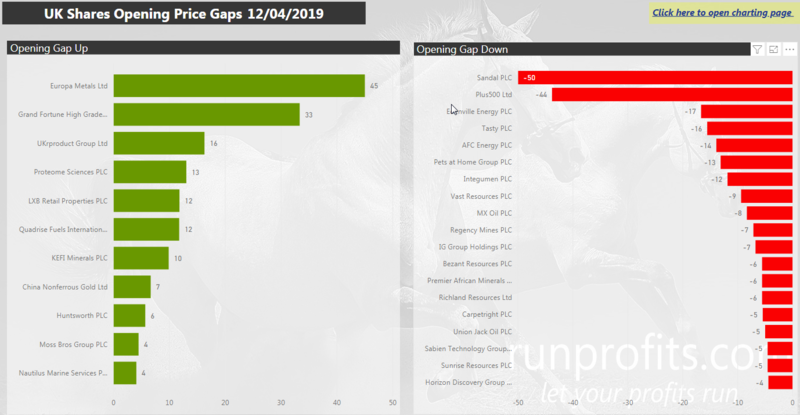 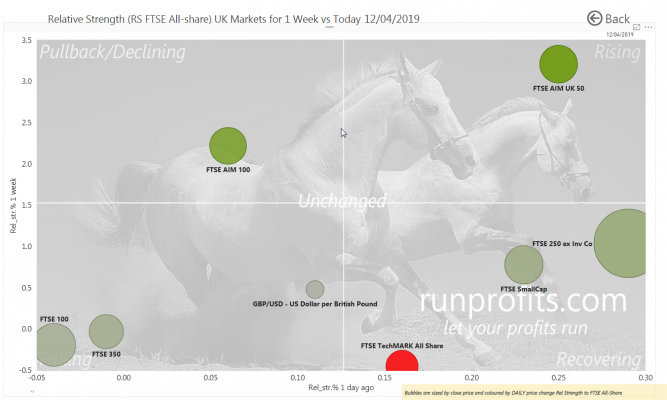 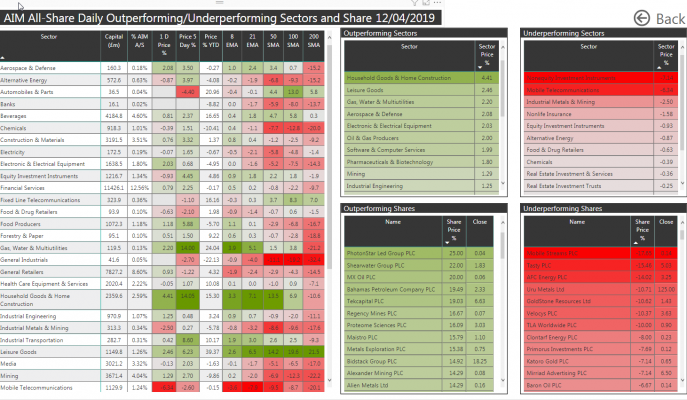 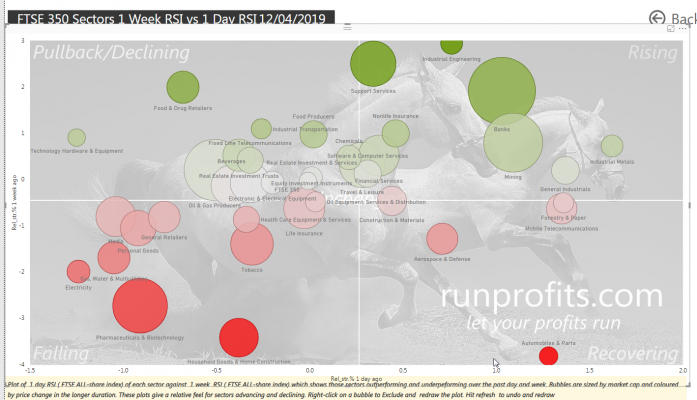 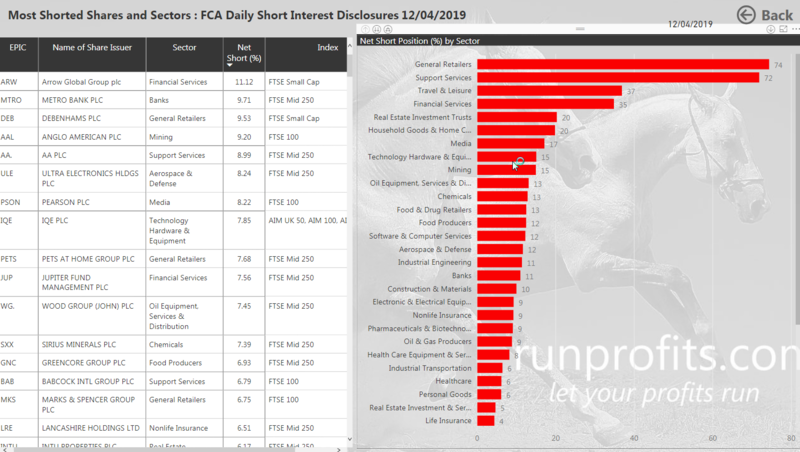 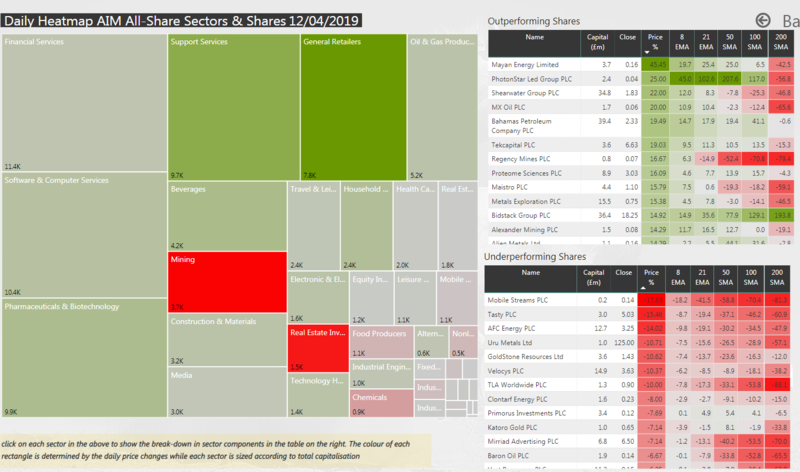 A bullish end to a bullish week as all UK markets closed in the green with the UKX and NMX up 0.3% on the day while the FTSE 250 continued to play catch-up closing up 0.6% and making new 2019 high and a new 6 month high while AIM All-Share gained 0.4% and made a new 2091 high. Market sentiment clearly is showing investors are relaxed where the US CBOE VIX is languishing at 12.6, VFTSE has dropped to 10 and VSTOXX is at 11.9. 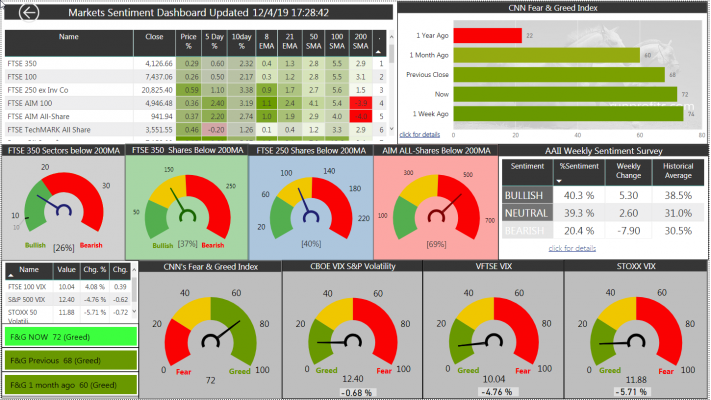 The US AAII survey is set at over 40% Bullish above the historical average of 38%: when markets are this bullish they can be prone to sharp corrections and earnings start in earnest next week .